Our hotel: not fancy, no elevator, no TV, no AC. Choose it for friendliness, character, price, and location. After the exhilarating intensity of India, Paris welcomed us for our four-day layover with serenity and seventy-degree weather. 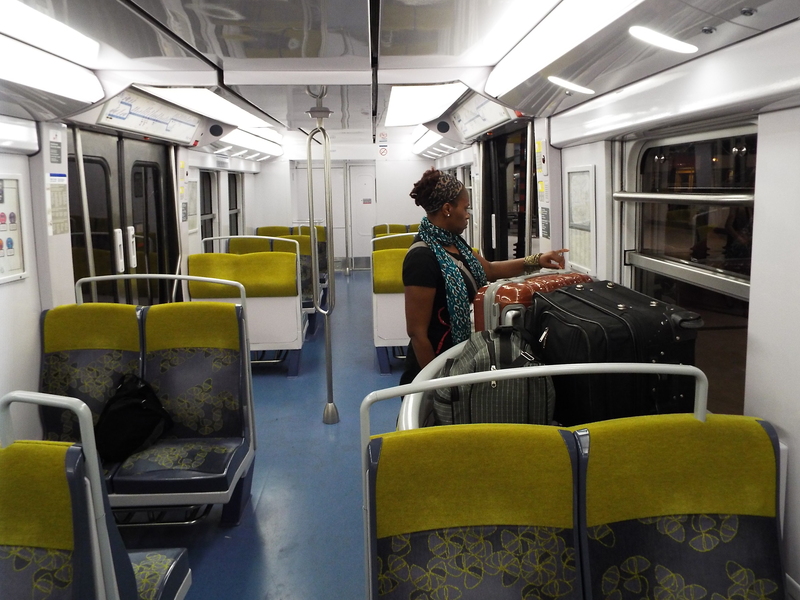 Everything was easy, from the overnight nine-hour plane ride, to the train from Charles de Gaulle, to the faithful Hotel St. Andre-des-Arts, to which I’ve returned after a 26 year absence. Of course, with the building having stood on Paris’s left bank since the 17th Century, there was really no chance that it would be going anywhere. 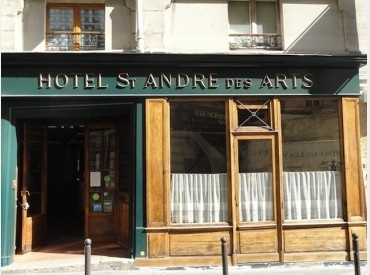 When I first came to Paris in 1988, I booked a quad room here, sight unseen for three friends and me, based solely on the bargain $60/night rate. While its charms are largely based on character and its “decor” decidedly rustic, it turned out to be best decision we could have made in terms of location (6th arrondissement, Left Bank). Nearly thirty years later, I still couldn’t find a better deal in this very prime location. Lore also has it that that the hotel used to serve as a barracks for the Bourbon kings’ musketeers; that Henry James wrote Daisy Miller here; that certain African-American expat jazz musicians did their best work here etc. Let’s just say, this place has had a historical following, and manages to thrive in today’s economy without a real website or any other wholesale Internet affiliations. Our first stop was the Notre Dame for the 10:00 Gregorian Chant mass, which was lovely, if a little disconcerting. I’ll be the first to admit to being a very lapsed Catholic, but houses of worship are houses of worship. Period. Why do hordes of non believing tourists insist on coming in for photo ops ( and I mean planting themselves, cameras in hand, mid-center aisle) during someone else’s spiritual and sacred time? Also on the subject of tourists, the sheer number of them here is pretty incredible, but then again, the last time I was here, China was still a relative mystery, as was the Internet. A few hours later, we went looking for this famous falafel place– L’As du Fallafel–in the Marais district, Paris’s traditional Jewish neighborhood which now also boasts a thriving gay community. The neighborhood was great, the falafel though…let’s just say I’ve had better from the grease trucks on Rutgers campus. Big fail. So much for online hype and lines that snake the corner. 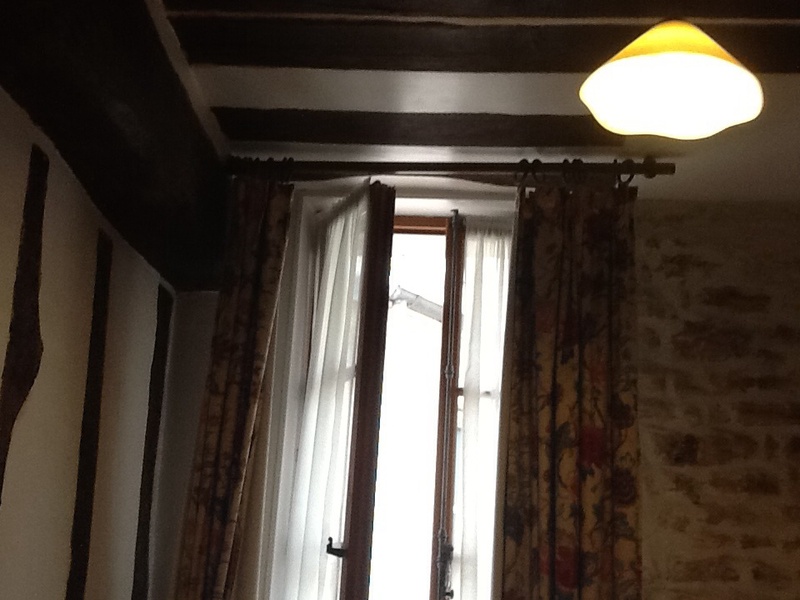 I had other plans for Le Marais, which included visiting Victor Hugo’s home which was converted to a (free!) museum, but we took the scenic route and missed it by a few minutes. This was a big disappointment for me because I knew I wouldn’t be able to fit in another stop during our four short days. Summer daylight hours in Paris extend to about 10:30 pm, so it’s pretty easy for the uninitiated to believe it’s much earlier than it is, especially if you throw in a quick nap after a long plane ride. 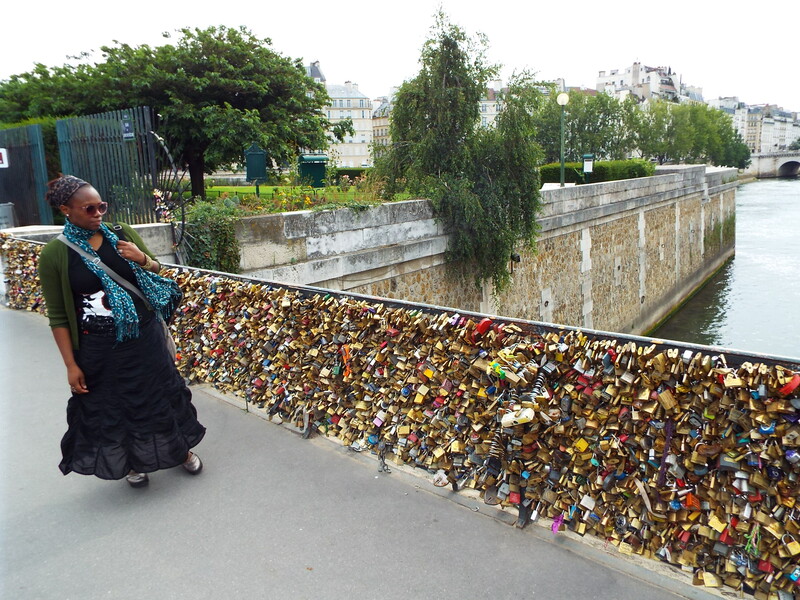 Generally speaking, the Paris I remember has also mellowed somewhat. When she and I were both a little younger, she was supremely lovely, but with an edge–that little bit of figurative and literal grime every old great city needs as nod to its turbulent history. 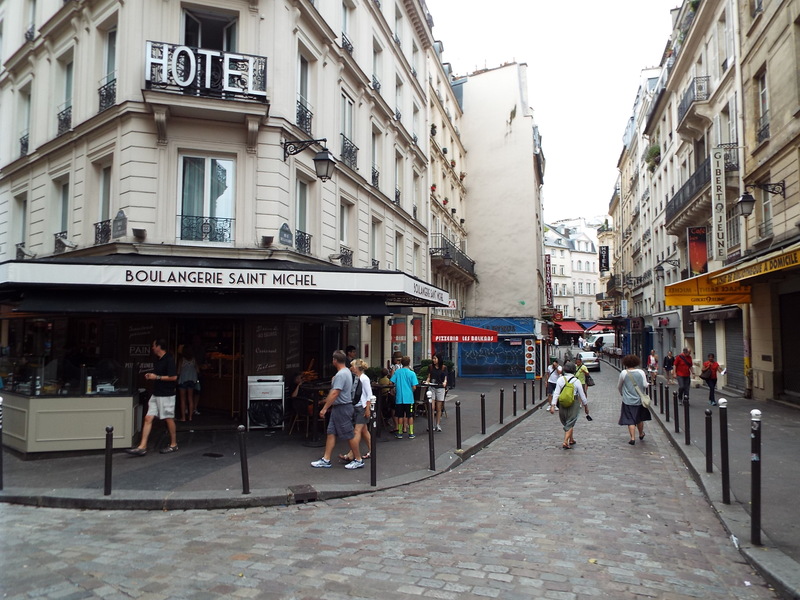 Now I return to find that student dive bars have been converted to Starbucks, and should I run out of fragrance, no need for the hike to the perfume shops on The Champs Élysées, there’s a Sephora up the block. Sadly, there also aren’t as many mom and pop boulangeries and patisseries as I recall, but I’ll try not to brood too much. After all, I’m in Paris! Tomorrow, we’re heading up to Montmartre which I hope will confirm my suspicion that The City of Light, in her haste to brighten things up, may have missed a spot behind her ear. 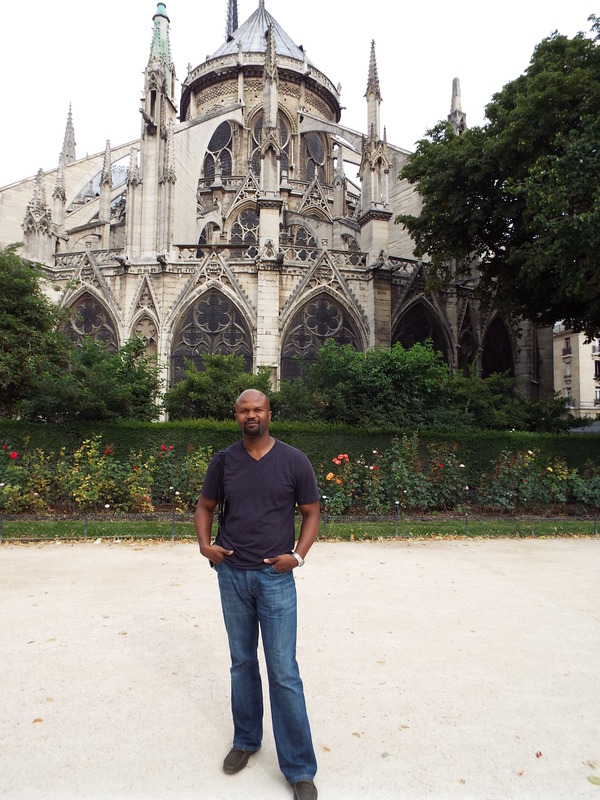 T at the back of the Notre Dame, his favorite of the many cathedrals we’ve visited on my worldwide cathedral tour. 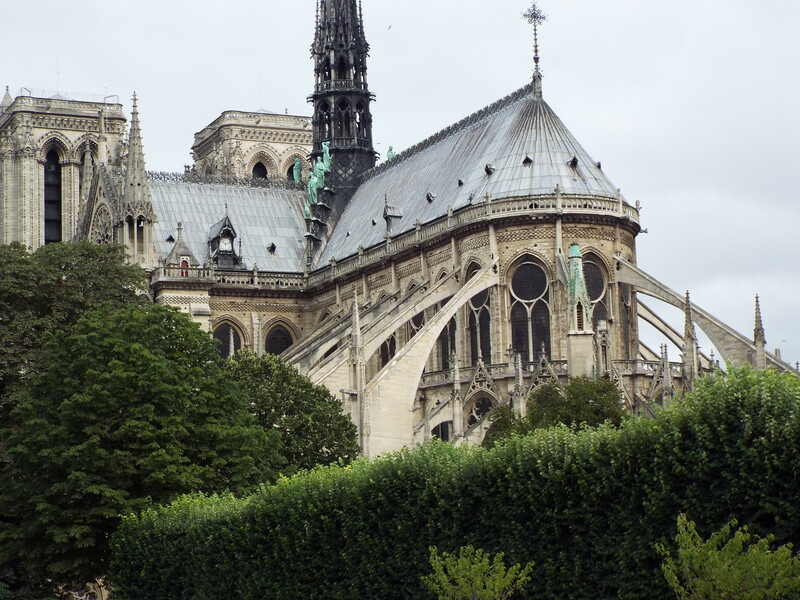 Notre Dame de Paris in all her buttressed glory. First stop after church was the boulangerie for pain chocolat and croissants. Only our hotel’s free breakfast (a Paris rarity) of fresh baguettes and coffee kept me from eating here at least once a day.